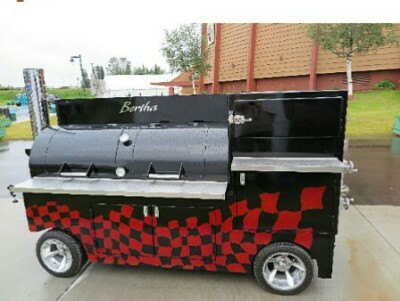 Here at Rockin W Smokers, we specialize in quality hand built smokers customized to meet your cooking needs. This backyard pit is easy to use with little effort compared with most box store smokers. 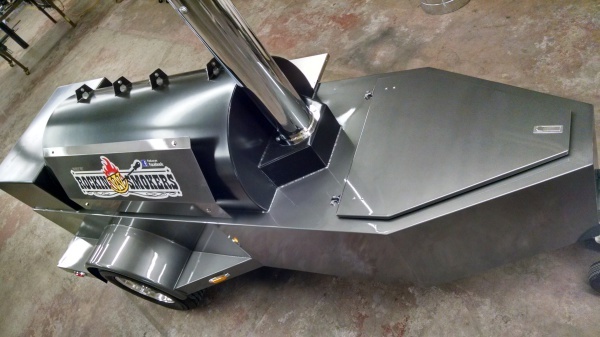 Large enough for the backyard or the BBQ competition circuit with the same quality as our largest units. SEE THE PIT DETAILS PAGE FOR MORE DETAILS. 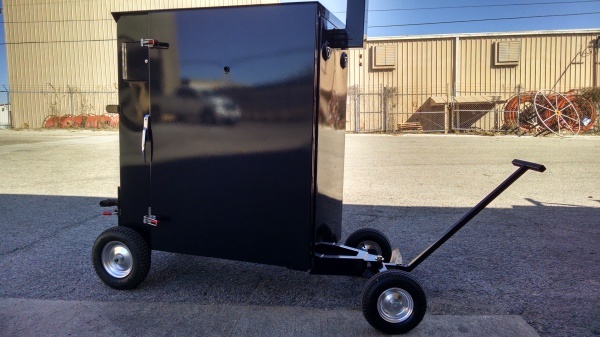 Our small gravity feed is large enough to cook a full BBQ competition or cook most normal catering jobs. These smokers will run approximately 18+ hours on one load of fuel. These units are super insulated with a 12+ hour burn times and great cooking capacity. They are heavy, large & best suited for a fixed location like a porch trailer or built onto a trailer. Our classic offset smoker cooks as good as they look. With the 2" insulated fire door and 4" of insulation around the firebox these pits are super fuel efficient. 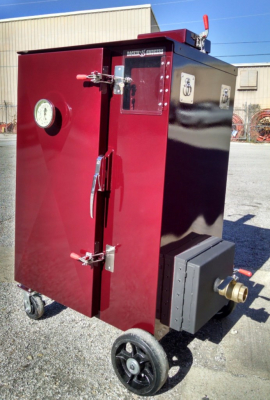 Our classic offset smokers in a tool box design shown with optional oven. See Pit Details Page For More Details.